Earth Day of Service celebrates and mobilizes the Omaha community who improve their community through service; April 20. Earth Day of Service celebrates and mobilizes the Omaha community who improve their community through service. We welcome all people to join the UNO community to serve others. 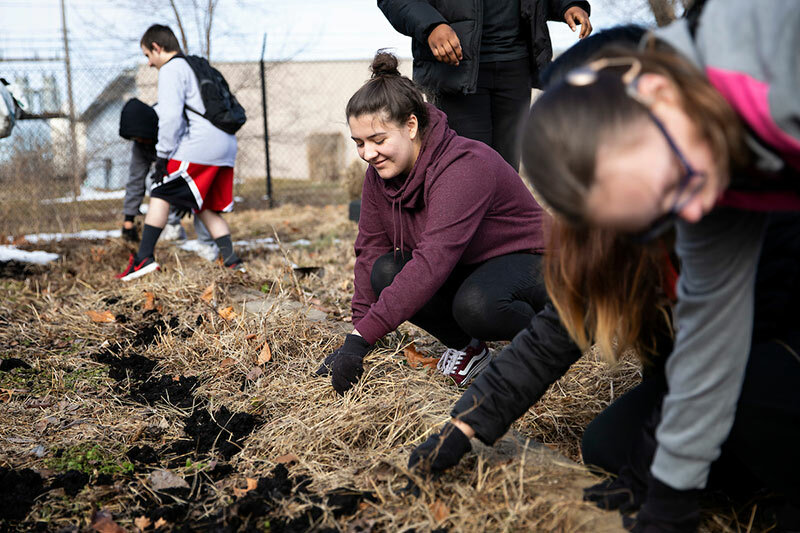 Earth Day of Service will take place Saturday, April 20, 2019 from 8:30 A.M. - 1:30 P.M.
Service projects will help the community at large, and those who participate can choose from a variety of service projects during check-in. Please make sure to dress to get dirty and make a difference. We will have free breakfast and lunch available to all volunteers. Check out our Facebook page for an updated list of our nonprofit partners. For any questions, please call 402-554-4083 or email unoserve@unomaha.edu. UNO STUDENTS - Bring your MavCARD to sign in - your service will be logged on Engage. GROUPS - Are you a member of a group that is interested in serving together? We can sign-up your group (five or more) to ensure they volunteer at one site. Please complete this form one week in advance to reserve a site for your group.